The NDIS is the National Disability Insurance Scheme. The NDIS is here to help you achieve your goals and it is focused around enabling you to live your life. Vision Australia can provide support to you throughout every stage of the NDIS process. How can Vision Australia help? 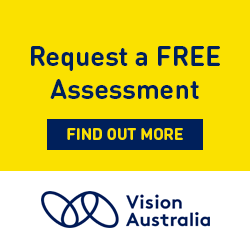 Vision Australia is a registered NDIS provider and the leading organisation for people who are blind or have low vision. They will be there for every step of the NDIS process. 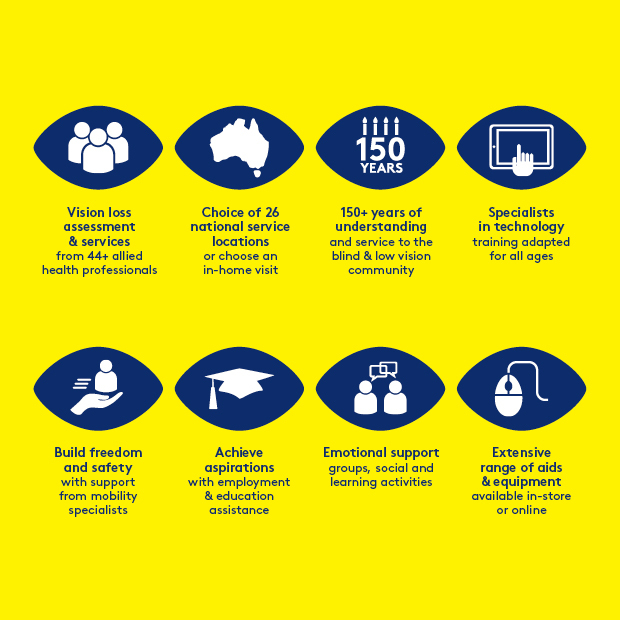 Vision Australia is a leading national provider of blindness and low vision services in Australia and has provided support to over 27,500 people nationally. Retinitis pigmentosa (RP) is a genetic eye condition that causes cells in the light-sensitive retina, located at the back of the eye, to degenerate slowly and progressively. The condition can vary greatly. While many people with RP retain limited vision throughout their lives, others will lose their sight completely. What are the grey spots and flashing lights in my vision?